A superficial potent antioxidant peel that delivers nourishing and stimulating ingredients into the layers of the skin. This results in a gentle stimulation of collagen without excessive peeling. A peel for everyone that increases cell turnover, stimulates protein synthesis, repairs, nourishes and protects, while calming and soothing. 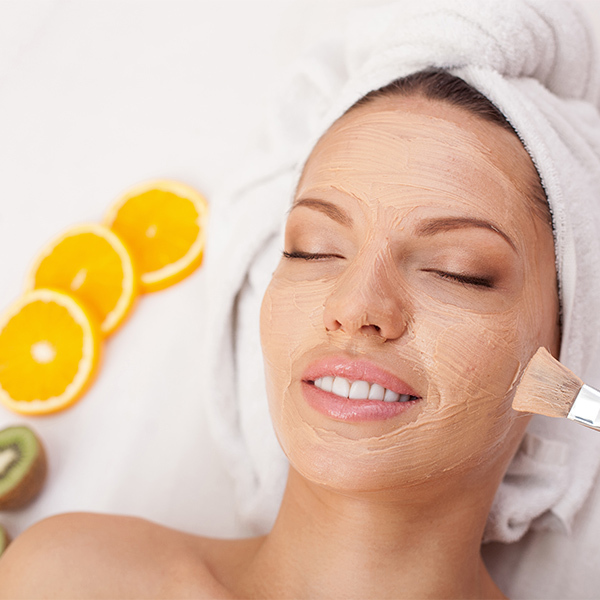 Retinol and vitamin C peels deliver results through the gentle stimulus of collagen without excessive peeling. Antioxidant peels address hypersensitive skin, aging, acne-prone skin, and rosacea. Chemical peels should not be used if you have been on Accutane in the last 12 months, have open lesions, skin irritations, recent facial waxing, active herpes, eczema or psoriasis. Can be used before a special occasion to enhance the skin or 2-4 weeks apart when doing a series of treatments.